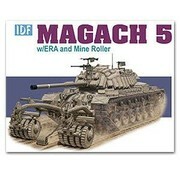 Magach 5 w/ ERA and Mine Roller plastic model kit by Dragon Models. This 1/35 scale kit inherits many of the excellent features of Dragon's preceding M48A1 model, but it has been suitably modified to represent Magach 1 and 2 tanks serving in the IDF. 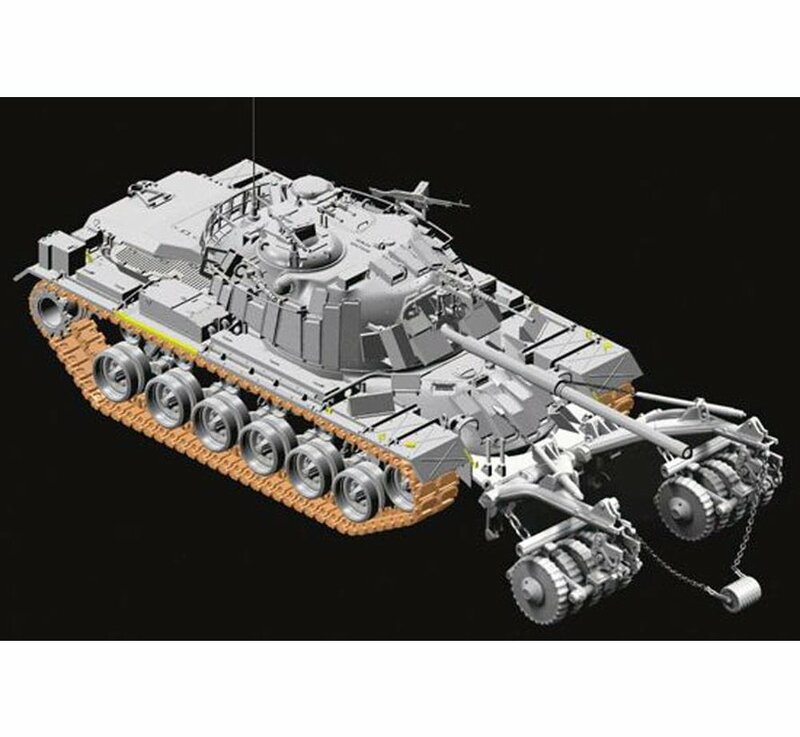 As a 2-in-1 kit, it offers modelers great flexibility, and all necessary parts to build either variant are included in the box. 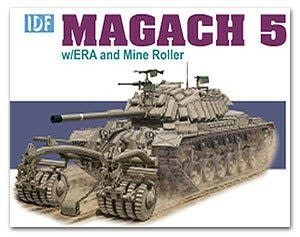 Compared to the M48A1, there are brand new fenders, engine deck and muzzle brake. 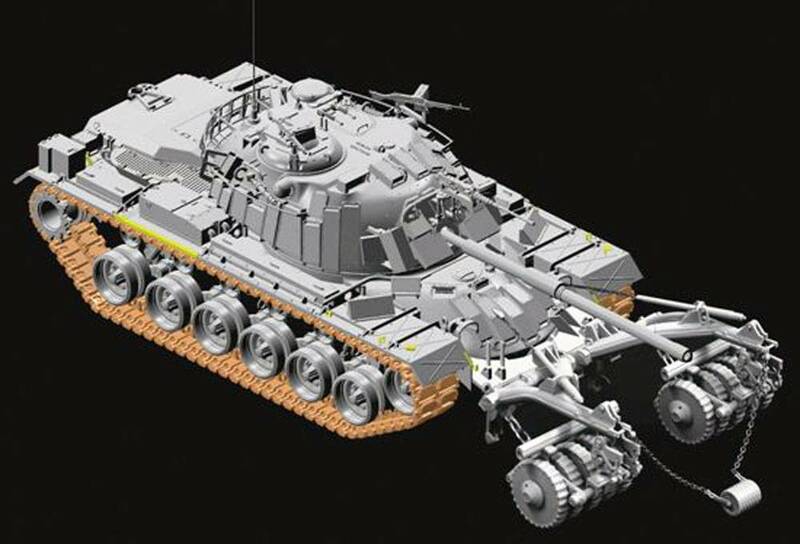 There's a generous selection of photo-etched parts for delicate elements such as tool brackets, plus the tank uses tracks made from DS for added convenience. 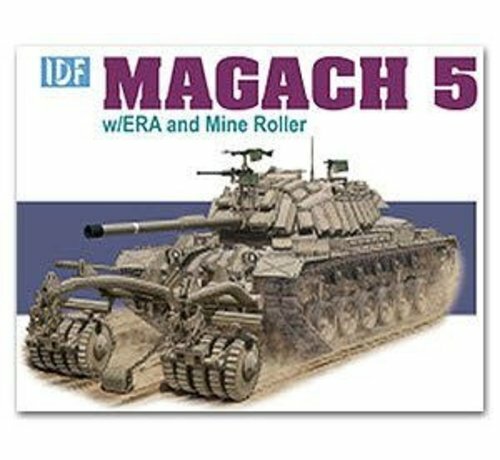 This is a splendid and highly detailed kit of the Magach 1 and 2, as Dragon delves into the fascinating world of Israeli armored vehicles.